"It's a brownie covered in mint cream topped with chocolate, mmmmmm!" A wonderful mint and chocolate dessert! 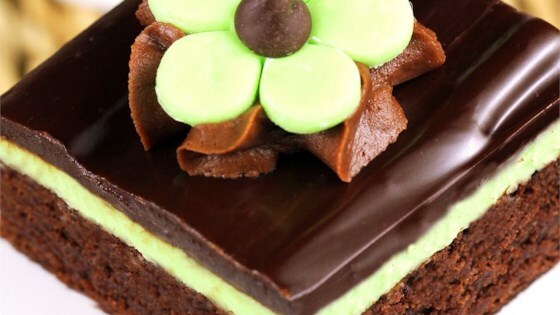 excellent moist brownie with a minty topping. i used mint chocolate chips for the final layer.